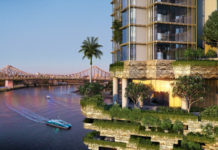 Marvel Investments Pty Ltd has submitted a proposal to build a 3 tower development consisting of 2 residential towers and a hotel tower, including ground level retail, restaurants and public plaza. 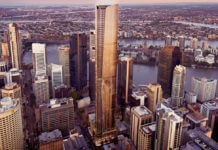 Stage 1: 30 storey residential tower (187 units) fronting Wickham Street, ground level retail uses, expansive public plaza and associated parking and servicing. Stage 1 will also include the podium level structure fronting Ranwell Lane, which accommodates parking, service vehicle loading areas and the circulation through the site to both Ranwell and Mead Lanes. Stage 2: 23 storey residential tower (137 units) fronting Ranwell Lane. Stage 3: 25 storey hotel tower (198 rooms) fronting the internal public plaza, ground and Ranwell Lane level and associated parking and servicing. However stage 3, the hotel tower component may occur prior to Stage 2. 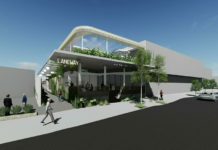 The site is located at 186 Wickham Street, 29 Ranwell Lane and part of Mead Lane, Fortitude Valley. 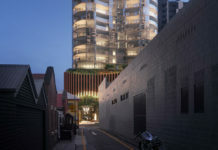 This provides a unique opportunity for development of a 3,009m2 site 1 kilometre from Brisbane’s CBD, approximately 150 metres from the Brunswick Central railway station, and 50 metres to the ‘heart’ of Fortitude Valley – i.e. the China Town and Brunswick Street Malls. The proposal is seen as a catalyst project that forms the southern arrival point to the Valley heart. The proposal is designed to strengthen and reinforce the Valley Heart Precinct and stimulate the renewal of this area by increasing residential density as well as providing a varied range of associated uses on the site. The residential component consists of a pool deck and lounge with bbq facilities situated on the podium level. The DA number for this development is (A003783377).